The Browning Brothers have been building dens around Teybrook Farm since they could escape the grasp of their mum Lucy and get out and about exploring for themselves. From the woods to the open fields, in bushes and long grass up to the very tops of the Poplar trees, they spent a childhood experimenting with hideouts, lairs and bases of all shapes and sizes. Now, mixing youthful enthusiasm with an entrepreneurial spirit, they have turned their childhood love for unusual outdoor accommodation into a business. Guests are invited to share their passion for cosy little hideaways in the countryside with a range of luxury glamping options for all the family. 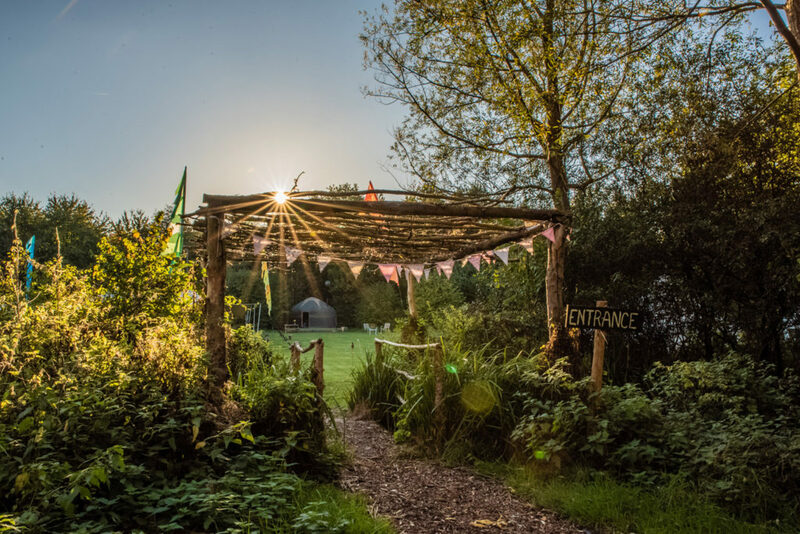 To capture all the magic of living it up outdoors, the brothers have even chosen their favourite spot on the whole farm as the glamping site – Teybrook Orchard. 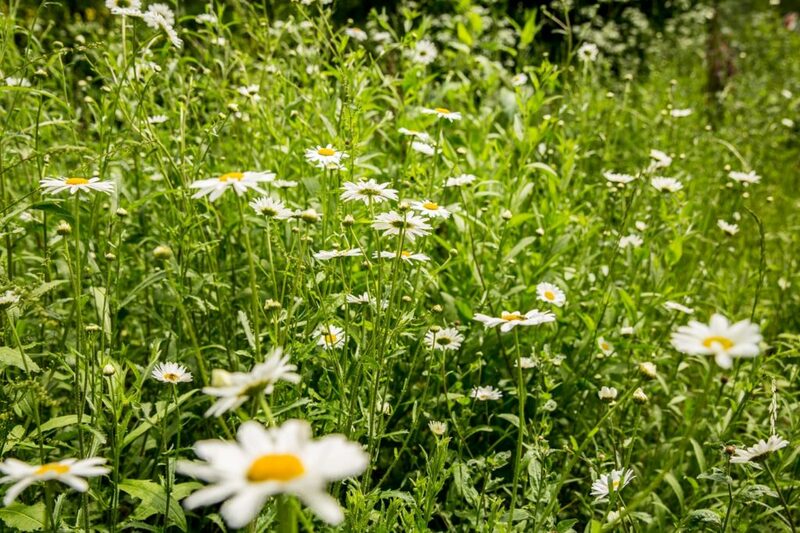 Tucked away in peaceful seclusion between apple trees and 20 acres of woodland, this is a place where you can truly feel as if the stresses of everyday life are a million miles away – even though you are less than an hour away from the centre of London by train! Not only does the meadow feel fantastically isolated hidden away between the trees, it is also an excellent sun trap, well sheltered from the breeze, for those days when the sun does grace us with its presence. With so much room to run and explore – and hopefully build a few dens of their own – Teybrook Orchard is the ideal spot to come glamping with kids. Let them revel in the thrill of sleeping outside in a tent or, even more exotic, a Mongolian yurt while still enjoying the home comforts of real beds. Our luxury bell tents and handcrafted yurts all sleep up to four people, with a double bed and two single beds each. To add to the sense of adventure, each tent and yurt comes with its own fire pit and BBQ in addition to the communal indoor kitchen facilities – what can be better than cooking and eating outdoors on a fine evening as the sun sets and the stars start to twinkle? And if the weather does put a dampener on your children’s explorations of the woods and the farm beyond, we are well stocked with games such as table tennis and table football to keep them entertained. While the Browning Brothers are proud to make Teybrook Farm very much a family-friendly luxury camping destination, your hosts extend a warm welcome to all guests. 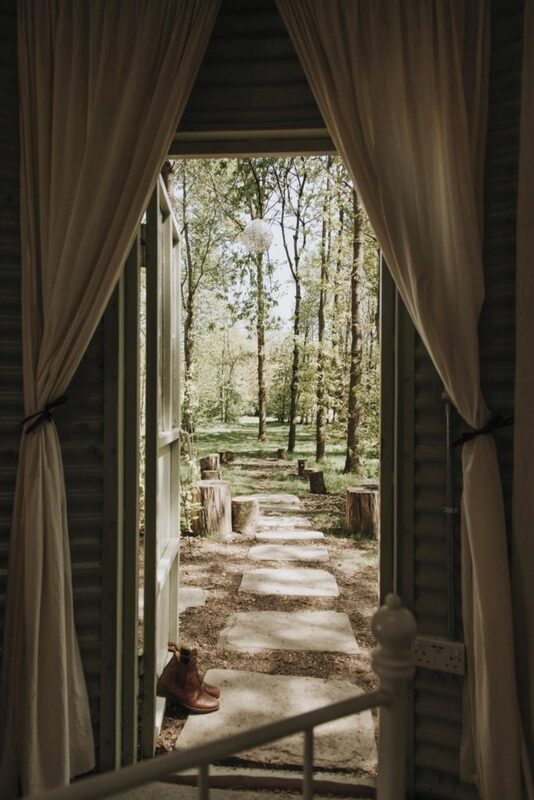 If you are a couple looking for an out-of-the ordinary romantic getaway, for example, the farm has two of the cosiest and most unique accommodation options you could ever find – a shepherd’s hut which belonged to the brother’s grandfather and an old grain silo. Both have been fully refurbished and tastefully kitted out with beds, furniture and wood burners. They are also located in their own little spots away from the main camping area – a snug a hideaway just for two as you could hope for. For those of you looking for something a little different from a family holiday or a short getaway, for those of you with a sense of adventure and a free spirit, our aim is to provide the very best glamping Essex has to offer. Call now on 07866 483 027, email info@browningbros.co.uk or use our online calendar to book now and come see for yourself.